Mount Baker. In 1975 it showed precursors to an eruption which never happened. What went wrong? The signs were unequivocal. It started with earthquake swarms. A phreatic eruption followed, and than the ground began to swell. Magma was approaching the surface. An eruption was on the cards and evacuation plans were put in place. An exclusion zone kept people safe but not their possessions – and as always some people could not be separated from those. But the final run-up to the eruption never came. The swelling stopped, and the earthquakes declined. After a few weeks, people could renew their acquaintance with their property. Perhaps to the secret disappointment of volcano-watchers, the eruption was not to be. 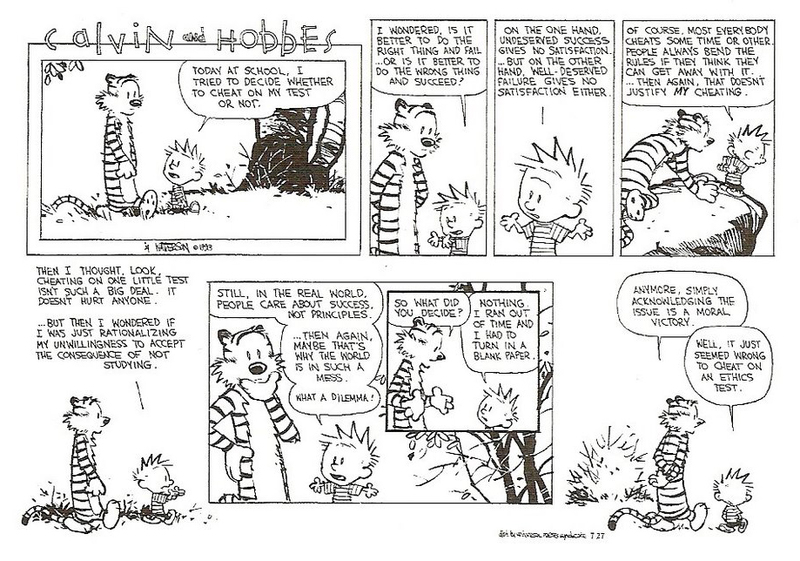 This imagined story could have happened in many places. Warnings come of an impending eruption, but the eruption does not happen and after a while the warnings are withdrawn. The image above is of Mount Baker. 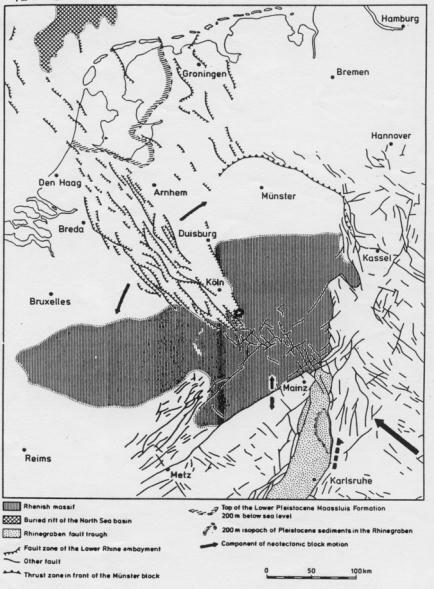 In 1975 it showed increased heat at Sherman crater. But the heat slowly declined again and the feared eruption went away (and instead hit St Helens a few years later). What happened? How close did it get to an eruption? Henrik once (actually twice but the first one was lost) wrote a post on eruption types. It should be required reading for all VC attendants. He defined one of his types as the ‘failed eruption’. The definition has never really been adopted in the scientific literature, although it is occasionally listed there: after all, there are no careers in publishing about failure. In listings of the various ways a volcano might erupt, the non-eruption is almost always left out. But Henrik was right. Failure is the most common type, and, embarrassingly, it is the one we cannot predict accurately. What are the signs of failure? 4. Explosive Plinian eruption, eruption column often greater than 20 km. A famous example is Mount Pinatubo, Philippines. 5. The failed eruption, where the volcano goes through the motions but does not produce the end product. This is Henrik’s master stroke: turning failure into an institution. An eruption happens when magma pressure from below causes the crust to break. This can happen in two ways. The magma has lower density than the crust, and is buoyant: it tries to rise. Whether this succeeds depends on the strength of the crust. If the strength can withstand the strain, some inflation may occur but the magma stays locked away and no eruption occurs. But if the strength is insufficient, magma will come up, weaken the crust further, and a rapid failure may occur. The failure can start as minor cracks which enlarge, through brittle failure, accompanied by earthquakes. The lava suddenly begins to erupt, but is effusive. The second way is where the magma releases volatiles, normally because of a sudden pressure drop. The volatiles cause an explosion which the crust cannot contain. There are many similarities to material failure. The material may be too weak to contain the stress, but more commonly small fractures occur in the brittle material, and these begin to grow: material fatigue. Even the strongest material can succumb to this. The increasing stress causes the fractures to widen and extend, and finally the remainder of the material is insufficient to withstand the stress and sudden failure follows. The forecasting of failures looks for such small signs which occur at a growing rate. If an increasing number of signs is seen, the curve is extrapolated to predict the time of failure. Often a Voigt law is used, which models the increase as a power law, where the rate goes as t p. Often p=1 is assumed which rather simplifies the equation. This law has been applied to materials and to volcanic eruptions, although only in hindsight. In volcanoes, the magma pressure causes the crack to widen and extend, leading to an increasing rate of earthquakes, both long period ones (damping of the shock by liquid magma), and tectonic ones where the rocks break. Typically, the small quakes greatly outnumber the large ones, something that differs from many non-volcanic earthquakes. The size of the crack is important. Small cracks consume energy when they form, and so they grow slowly: they can’t continue until they have replenished the local energy. Large cracks can release energy from stress in the rock, and this energy can exceed the amount required to break the rock. So these can grow fast. The rate at which the crack propagates is limited by the speed at which the magma can flow: for the upward movement this is a combination of the buoyancy and viscosity, but for sideways flows (flank eruptions, long-distance dykes) it is just the viscosity, and the thickness of the dyke. Once the cracks connect to pre-existing cracks towards the surface, the eruption can proceed. A second mode of failure is static fatigue. Here, a material is under constant stress, and finally gives up and gives in. It is helped by heat, and by circulating water: both reduce the static friction which keeps the material together. An important warning of an impending eruption (or material failure) is an increasing number of ‘events’ per hour (or day). Two examples are shown below, both taken from Kilburn 2003: Soufriere Hills, and Pinatubo. In both cases, the earthquake activity came in bursts, with periods of high activity and periods of relative quiescence. Kilburn used the inverse of the earthquake rate: this is effectively the average time between earthquakes. Looking only at the time when the earthquake activity shows bursts, the inverse rates show approximately a straight line. Extrapolating to when this line goes through zero gives a time which is not far off from the actual eruption. He states that this could have predicted the time of eruption a few days in advance. In all cases, the precursor earthquakes cease once lava has reached the surface. There are a few caveats. Two cases is rather limited, and the analysis took place long after the eruptions had occurred, so that the right answer was known: that is always a warning sign in scientific models, and shows that further validation is needed. For St Helens, when applied to the lesser eruptions of 1982-1987, the method did not work as well. A failed eruption is one where all preparations are made for an eruption but it comes to a halt before the eruption happens. The failure of the crust fails to happen – the centre holds. To be defined as a ‘failed eruption’ there needs to have been a significant chance of a real eruption. This means that magma reached towards the surface and came fairly close. Typical magma chambers are between 5 and 15 kilometer deep. At this depth, the magma can achieve neutral buoyancy, and it will sit there quite happily, without feeling the urge to move up further. Accumulation of magma at this depth therefore does not count as a ‘failed eruption. Only supervolcanoes can erupt directly from this depth and those are exceedingly rare. So the first requirement is that magma moves above this level of neutral buoyancy, and comes to within a few kilometer of the surface. The second requirement is that no lava actually reaches the surface. A cryptodome differs from a lava dome not only in being written as one word, but also because the magma stays below ground. It gets so close that the surface bulges, but no further. So a cryptodome formation can indeed be a ‘failed eruption’. Phreatic eruptions are vaporised water. It may be heated by the closeness of magma, but the magma itself stays below ground. Thus, it counts both as an ‘eruption’ and as a ‘failed eruption’. Sometimes science makes no sense. Finally, emplacement of a pluton underground, effectively a solidified magma chamber, is not a failed eruption. The magma never gets close enough to the surface to count. One further distinction should be made. Failure can be temporary or it can be permanent. If the shallow magma remains liquid, it may erupt later, perhaps because the magma received reinforcements, because the surface ruptured, or after an earthquake or phreatic eruption. This is a temporary failure. But if the magma cools and solidifies, it will never erupt. This is a permanent failure. Thus, ‘Failure means failure’ fails to capture the complexity of the situation. Signs of failure and signs of success can be remarkably similar. In both cases, they can include increased degassing and heat, phreatic eruptions, shallow earthquake swarms, and of course inflation. But they differ in the final product. Somewhere along the line, the promise goes silent. And over time, people forget what happened. Scientists can also lose interest: failed eruptions are studied much less than successful ones. This failure of collective memory, a promise of the past that is quietly forgotten about, is the life blood of politics. To count as a failure, there has to have been a good chance of success. This is often difficult to proof, and therefore there are few undisputed examples of failed eruptions. People have argued about cases such as Mount Baker, Washington (1975), Iliamna, Alaska (1996), Iwate, Japan (1998), Deception Island, Antarctica (1998), Fourpeaked, Alaska (2006), and Huila, Colombia (2007) (this list is from Moran et al. 2011). You can easily add you own favourites, the could-have-beens that came so close before sinking back into oblivion! Thingvellir, Iceland, 1789 It had been an eventful and scary decade. First there was the devastating, deadly Laki eruption of 1783, and the survivors were hit by the earthquakes in the SISZ the following year. The rifting episode in Thingvellir came shortly after and was very likely related. It is the only one known here in historical times. In early June 1789, an earthquake swarm hit the area of Thingvellir. It continued for ten days, reportedly ‘without an hour’s respite’. Afterwards, new fissures had formed, and houses collapsed in Olfus and to the southwest in Selvogu. There was activity along the entire Hengill rift. New hot springs formed south of Hengill. At Thingvallavatn, the western and southwestern shore uplifted: one uplifted fault was reported to be man-high. The northeastern shore subsided by 3-4 ‘ell’ (one ell is about 60 centimeter). The edge of the graben sank by 1-2 ell. Sunken man-made wall at Vatnskor, caused by the subsidence of 1789. The wall is 60 meter long and the bottom is 2.8 meter below the lake surface. (Saemundsson 1992, Oikos, Volume 64, pp. 40-68). The subsidence caused the flooding of the Althing, the ancient Icelandic parliament, and forced it to move to Reykjavik: geology caused the end of over 800 years of history. The combination of earthquake swarms and both uplift and subsidence inside the rift suggest that a new magma dyke formed, fed from Hengill, which triggered a rifting event and widened the Thingvellir graben. But this dyke failed to break the surface. It could have been spectacular, a fiery end to Iceland’s parliament, but instead the attempt failed. However, it is also possible that no magma was involved in this event, and that it was a ‘dry run’, mimicking the precursor of an eruption. It would be good to know what happened on the rest of the Hengill rift zone, but at this time only both extremes of the rift zone were inhabited. This one is the failure that got away. Harrat Lunayyir, Saudi Arabia, 2010 Although there are some 50 cinder cones in the area, 150 kilometer northwest of Medina, the threat of an eruption came as a surprise. 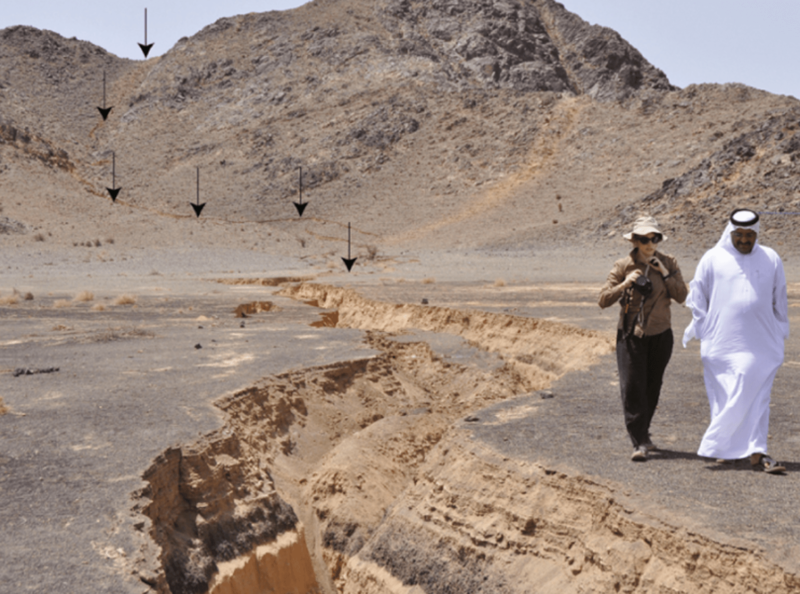 In April to June 2009, the previously seismically quiet area in Harrat Al-Shaqah (also known as Harrat Lunayyir) had an impressive earthquake swarm. There were over 30,000 earthquakes measured, culminating with an M5.4 event. The quakes showed many with very low frequencies: magma was on the move. Similar to what happened in 2014 in Bardarbunga, the quakes -and magma- migrated along a linear dyke: it was 20 kilometer long, and came up from more than 20 km depth at the southern end to less than 7 km at the northern end. 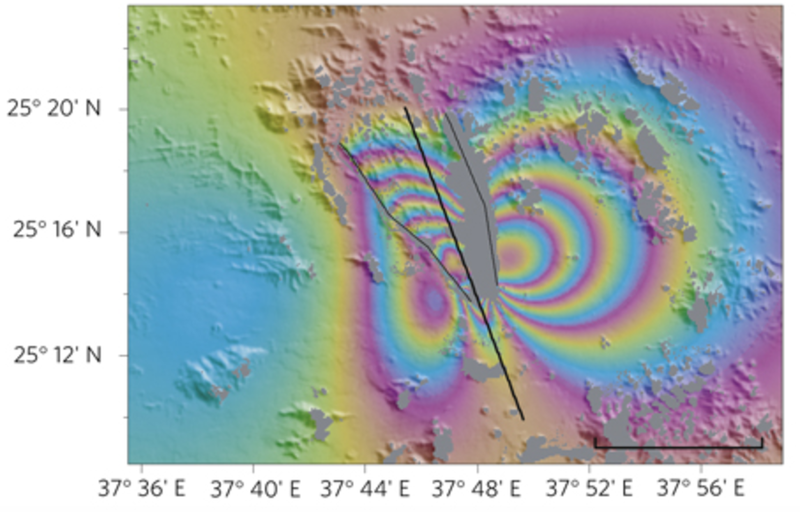 On May 19, the surface ruptured over a length of 8 kilometer, with a vertical offset of 90 cm between both sides. Inflation was detected by INSAR. The rupture, cutting through sediments and basaltic tephra. The fault is indicated by the arrows. From Pallister et al, Nature Geoscience 3, 705–712 (2010). Click on image for full resolution. Modelled deformation pattern for intrusion of a vertical dyke. This is very similar to the observed inflation between May and June 2009. Underground, the 2 meter thick dyke was filled with an estimated 0.13 km3 of magma. It came within 2 kilometer of the surface but the last bit of crust was too rigid and it failed to break through. For a while an eruption was considered likely: as a precaution 40,000 people were evacuated. But by August, the earthquakes came to an end and no further inflation was seen. The event happened underneath an existing lava field which may have been erupted around the year 1000. This could easily have become an eruption, the first in modern Saudi Arabia. The region is not densely populated and an eruption would have been manageable. But there is always a risk that you discover that the fertile regions where people settled were fertile for a reason. A 2 meter thick lava dyke will solidify reasonably quick and this particular slush fund won’t break the bank again. But the conduit from below may remain a weakness and could in the future (we are talking decades to centuries) re-activate. Why did it not proceed to an actual eruption? Many of the signs were there. But interestingly, the rate of earthquakes did not increase with time. The plot shows the number of earthquakes per day during the main (May) event of the Saudi non-eruption. The decreasing intensity of the swarms means that the ‘inverse rate’, i.e. time between earthquakes, was increasing rather than decreasing, and did not tend towards zero: the method used above would therefore have predicted (correctly so) that an eruption would never happen. The b’ parameter in the plot describes (roughly) the strength distribution of the earthquakes: a higher value of ‘b’ means that there are relatively more strong quakes. This differs from ‘standard’ eruptions where the small or micro-quakes dominate. Akutan volcano, Alaska, 1996 This volcano is among the most active in Alaska – and that says something. Since 1790, 27 eruptions have been recorded and there probably have been more. The last one before 1996 was in 1992. On 11 March 1992, an 11-hour earthquake swarm hit, with over 80 quakes stronger than M3.5. An even stronger swarm came on 14 March, lasting 19 hours and containing over 120 quakes above M3.5. Locals reported continuous ground shaking, punctuated by individual shocks about once per minute. The largest quake reached M5.3. The combined energy of the earthquakes exceeded that of many eruptions, and was similar to that released before the 1980 St Helens eruptions. The earthquakes continued until July, although not at the same rate. Later, AVO found an extensive series of ground cracks covering 20 kilometer in length, running from near the summit of the volcano. These had broken the snow fields and clearly came from the March swarms. INSAR data showed that the western side of the volcano had inflated, although the snow cover made it difficult to say by how much. Modeling indicated an intrusion of 0.2 km3 of magma in a deep reservoir beneath the west flank, followed by a dyke formation which reached to within 1 kilometer of the surface but failed to break through. The large number of strong earthquakes is notable, as this differs from normal volcanic behaviour which has many more small earthquakes. The length of the surface cracks also seems exceptional. The earthquake swarm may have been in part tectonic. Given the history of this volcano, the 1996 event was a temporary failure. There have been no recorded eruptions since 1996, but it seems only a matter of time. The crucial question is what makes the difference between a successful and an unsuccessful eruption. Is it the wrong type of magma? In the cases discussed above, the differences could possibly have been noticed early on. The earthquake activity did not increase as fast as it could have, and there was a larger fraction of strong earthquakes. Also, whereas in a real run-up the earthquake become focussed on a stack of only a few kilometer width, here the activity remained dispersed over a wider area. Adding these up gives the impression that the magma failed to find a weakness it could focus its pressure on. The more dispersed a force is, the lower the pressure. In contrast, the more focussed a force, the large the pressure. If you don’t quite see this, try to hit a surface with a hammer, where the force acts over the entire surface area of the hammer, and second, use the same hammer to hit a nail into the surface (you may want to make sure it is a dispensable surface – using your car would not be recommended). (a) Loss of driving force. There may just not be enough magma, or the gas pressure is too low to overcome the static friction of the rock. (b) An increase in viscosity, making the flow too sluggish. This can be due too cooling, if the magma ascends too slowly to begin with, or it can be caused by degassing and loss of water on the way. (c) A physical barrier it can’t break through. This may be an impermeable rock layer, but it can also be the opposite, a soft rock layer which deforms and bulges, but does not break because it spreads the force over a larger area. It is like trying to break soft wood with a hammer. (d) A fault plane in the host rock that diverts the magma into a lateral dyke and thus stops it moving up. Comparing this list to the previous discussion, there are some points to make. (a) and (b) are very similar: it is literally the magma running out of puff. Once it slows down, cooling and degassing makes it worse. Magma has a limited amount of time to reach the surface: if it loses momentum, things quickly come to a halt and the magma becomes sluggish and solidifies. It is a sprint, not a marathon. The sign on the ground that it isn’t working is that the earthquake activity isn’t growing, but flattens and declines. Point (c) actually combines two different things. The impermeable layer should lack faults at the point where the magma is trying to get through. The faultless rock does not allow the magma to gain purchase. Magma prefers an existing break to go through: it is like a burglar who goes through a window rather than hitting the wall. The second case is that of a cryptodome. Both cases are susceptible to water: if that gets into the magma, the ensuing explosion can put short thrift to the containment strategy. It is the military method: if it is in the way, blow it up. Point (d) and point (a) are related: diversion into a dyke works if the amount of magma is limited. But if you tap into a large magma chamber (think Bardarbunga) it just moves the problem to another place. The bottom line is that an eruption may fail if there isn’t enough magma to begin with, there is a lack of pressure, or there is a lack of pre-existing faults near the surface. Slowing down is fatal for moving magma! If it is an active volcanic area, the failure is likely temporary. But if eruptions in the area are rare or it is a monogenetic field (where each location only erupts once) it is likely permanent. At VC, often attention is drawn to some volcano showing pre-eruptive signs. In many cases, these signs do not develop further, at least not within a modern attention span. Is that a failure on our side? Is it fake news (or an alternative eruption)? Or does the volcano fall short? In a similar vein, science prefers success. There are no careers in studying failure. But the difference between a successful and failed eruption is absolutely crucial. If we try to predict eruptions (the holy grail of vulcanology), a basic test of the model is whether it can predict failure. This is the first law of volcano-physics (or at least, it should be). For this purpose, VC readers are the perfect amateur scientists. They have no worries about a successful career! They can draw attention to volcanic precursors without fearing failure, wanting to be ready for the ‘thar she blows‘ but no problem if this isn’t the right whale. And for the curious, there are great lessons in failure! Taking science where scientists fear to tread. ← When Is a Caldera a Caldera? does heat softening from previous failures make a malleable layer more or less dfficult to breach – or does the previous failed magma ‘underplating’ the ductile layer – block the movement of the malleable layer and make it easier to breach ? It may depend on what you start out with! Heat reduces the cohesive strength so may make is easier for faults to break. But if there no faults it may contain the magma better. Are thick layers of wet sediment also able to withstand rising magma to the surface and that rising magma is diverted into sills and dikes at the bottom of the pile of thick and heavy wet sediment layers? Piles of thick sediments are usually found in grabens and sedimentary basins. For example the Lower Rhine Embayment and the North Sea Basin. wetness and magma are a dangerous combination: that is what gives phreatic explosions. And in fact, the area you mention is known for such eruptions. I would imagine wet sediments would be an encouragement, not a discouragement. Flash-boiling produces a sudden spike in gas pressure as water vapor tries to escape, leading to phreatic explosions as Albert also mentions. It’s sort of like throwing mentos into soda, a nice boost to break-through capacity due to rapid alteration in pressures. Every ‘failed eruption’ is a successful intrusion! Perzactly! Semantics Uber Alles! “Failed Eruption” is oxymoronic–see: “Almost Pregnant”. That said, the ‘almost eruptions’ are interesting, Kilauea had one on the SWRZ sometime between 1976-1982 with cracks and gas release and deflation but no magma. There’s also the ‘barely eruptions’, KIlauea again, 1980 would have barely filled a dump truck. it is only an eruption if it erupts. If an intrusion was seen as ‘successful’, there would be more scientific papers on them! ‘Failed eruption’ is not identical to ‘intrusion’: it also has to have come very close to an actual eruption. We should have a volcano failure party everytime. For me the run up is the best part. Failed eruptions bring all the excitement but you know it’s relatively harmless. So bring on more failed eruptions. Albert, this is a great article and a fantastic point about how you need to understand the no’s to understand the yes’s. One question really, can you elaborate on the following: Only supervolcanoes can erupt directly from this depth and those are exceedingly rare. Is there an exception that proves the rule? You need a lot of time to weaken 5-10 kilometer of rock to such a degree that it collapses. That means a large magma chamber, because it needs to stay liquid long enough, and because it needs a very large area. And when the roof collapses you have your supervolcano – although not necessarily that explosive. Toba, the largest eruption of the past million year, was largely effusive. You could also possibly have a ‘semi-failure’ category, where a signifcant batch of magma fails except for a thin slither; a precursory-eruption phase which doesn’t fulfil the promise of a climactic event. E.g. Cotopaxi 2015 and Copahue 2012/13 when it appeared a major eruption was imminent but petered out in an insignificant event. Like a dud firework. Perhaps Katla 2011 could count also as a failed eruption. I consider that more as a ‘blowing off the cobwebs’ event. Report of increasing activity in Reykjanes? It´s clear that activity in Reykjanes volcano is increasing (and not just Reykjanes but the other underwater volcanoes further southwest). This could point to a reawakening of the entire Reykjanes peninsula, which showed frequent volcanic activity between year 1000 and year 1300, and then fell back to silence (the peninsula seems to show cycles of activity and silence every few centuries). However let´s not jump yet to this conclusion. The underwater Eldey volcano, southwest of Reykjanes had frequent eruptions, about once or twice a century since then, so eruptions are possible in the aream without reawakening of the entire peninsula. Eruptions in the area are usually lava flows to even small lava floods. I assume spectacularly, as we have lava fields falling down to the sea by some 300 meters in some parts of the peninsula. That must have been quite a show to watch! At other times, if eruptions occur very near the coast, then they are explosive, even up to VEI4, thus potencially quite ashy. The fact that there are increased swarms and geothermal activity is a reason for paying closer attention. Especially in the perspective of a peak in hotspot activity, predicted to 2020-2050, which obviously affects the whole of Iceland. I expect increased earthquake swarms across the peninsula. 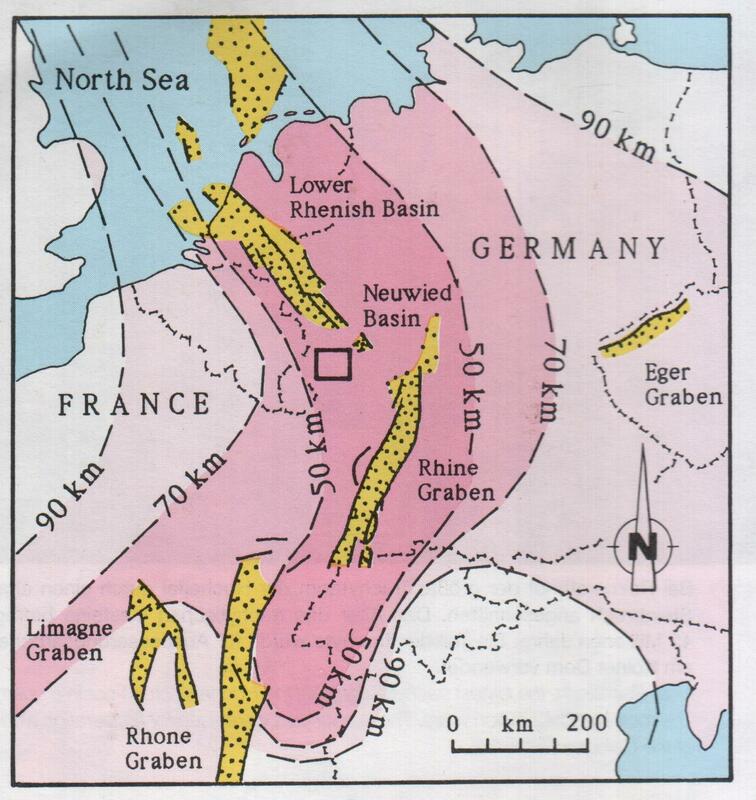 This quake could be generated by exploiting of natural gas around Emmen, but could also have to do with fault lines in the deeper underground which run parallel to the Lower Rhine Graben in the southeastern part of The Netherlands and in the Kölner Bucht (Cologne Lowland) in Germany. By exploiting of natural gas the underground subsides, preferably along existing fault lines. The Lower Rhine Graben is part of the Lower Rhenish Basin on which Emmen and the towns of earthquake-hit villages and towns in the northeastern part of the county of Groningen reside. A basin with a central graben means that there are also offset grabens parallel to the central graben. Many hill ridges in the Netherlands, like the Utrechtse Heuvelrug, Veluwe and the Hondsrug with Emmen on its southeastern tip, run from northwest to southeast. The same direction as the fault lines of the Lower Rhine Graben do, I think that the orientation of these hill ridges are controlled by these fault lines. There are no tectonic earthquakes in the northern half of the Netherlands. All earthquake activity there is related to gas extraction. There is (or was) a gas field near Emmen. 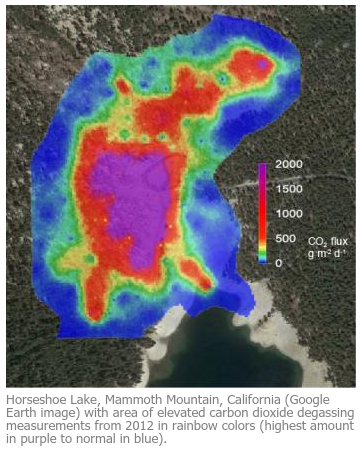 The depth of the quake should tell you: gas quakes are shallow, typically 2 kilometer. The fact that you heard a loud bang from a small earthquake to me suggests it was shallow. Started using the new site. First thing I noticed is that you can click on the different tilt meters and see their graphs, not just the one we were offered before. Same with some of the GPS stations. Weeee! If anybody was listing to me a month ago when I asked about these things, thanks! When you click on a seismometer you can see 4 days of activity with the last day broken down in to 6 hours, 12 hours. You can see all of the charts sided by side in a small window and click on any chart you want to see close up. GPS stations with 10 years of data! I hadn’t noticed that yet! Yes, it is an improvement. Some of the images, for instance earthquakes, are too crowded to see much, and it is more clicks to get to the monitoring data (perhaps there is a faster way I haven’t found yet), but those are the only quibbles I have found. You can filter out the instruments on the right side and only look at the quakes that helped me. You can also filter out the quakes based upon depth, time, power. This is great. And this is not just HVO but also all of the other USGS volcano observatories. There is a lot of information! I like how you can access information on any volcano in the US. We did predict in our April-1 post that the volcano observatories would be allowed to compete outside their geographic . It was meant to be a joke, but HVO seems to have taken this seriously. New(-ish) post! Reykjanes – a Carl special.